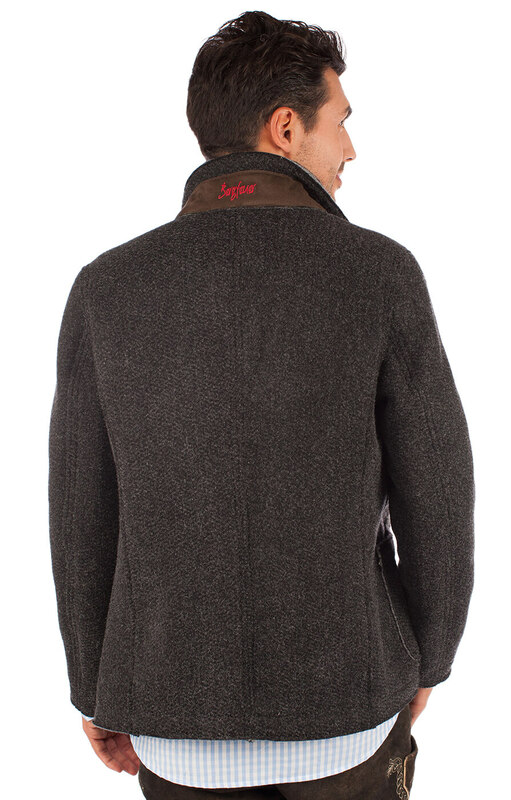 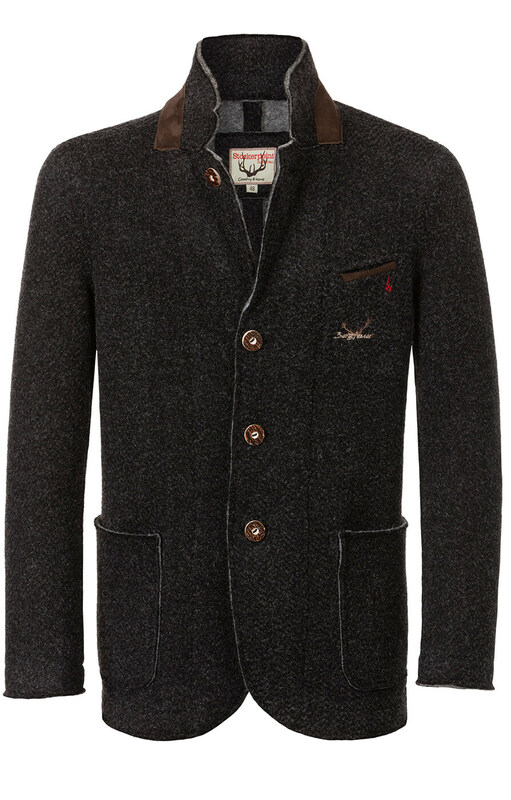 Apollo men’s dark grey jacket. 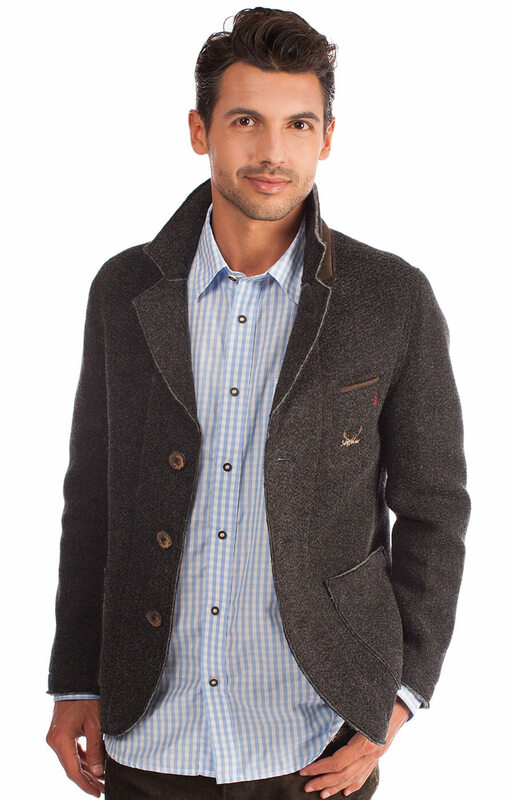 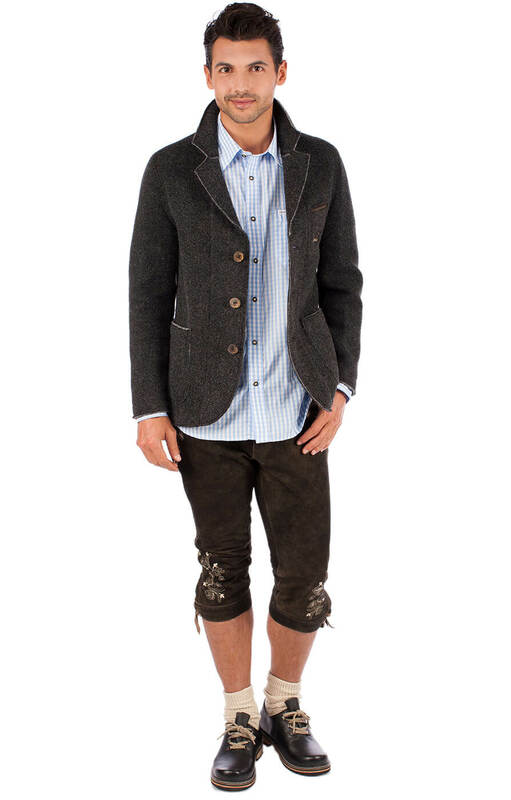 This stylish and sophisticated dark grey jacket is a perfect addition to any Trachten outfit and it has plenty of special touches that catch the eye. 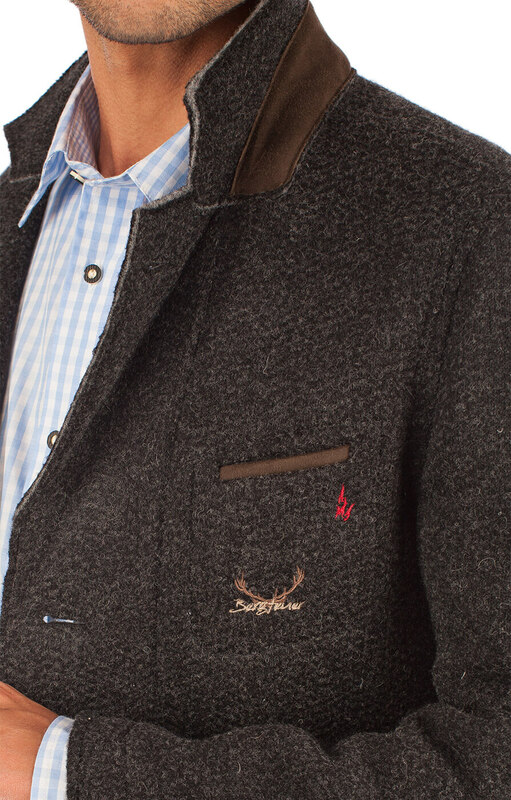 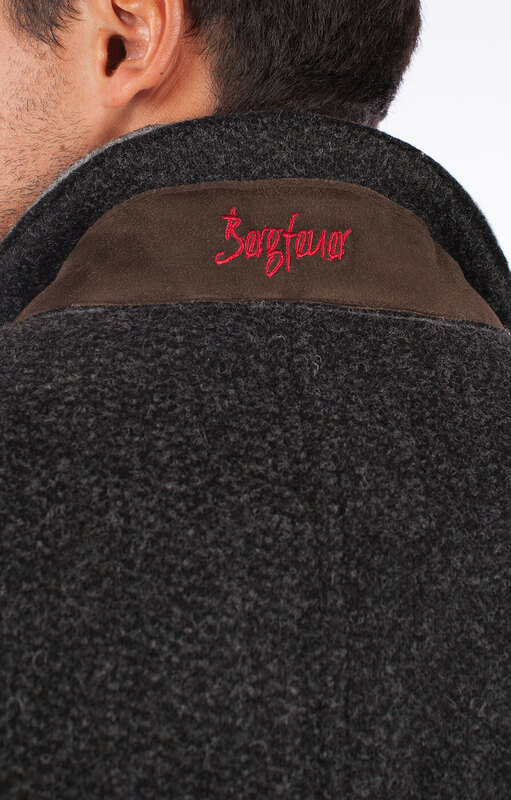 Made from 100% polyester, it features wide lapels and an adjustable collar with a row of horn buttons down the front and the classic deer head design on the breast.